Acupressure has proved itself once again in giving the best relief. The major exhaustion in today’s world is weight loss. Many people get depressed and feel immense stress due to this reason. Lingering in the mind always but not bearing any results, the stress to lose weight is increasing by the day. But, acupressure works like magic. No more stressful nights or painful workouts. Apply little pressure on the special energy meridian points on the body which expel excess heat and moisture giving an improved circulation to lose weight. It also strengthens your digestive system that will help you control your appetite. Stress can worsen eating disorders. Reducing stress is also something you can do with the help of acupressure points. By paying little attention to your food and practicing acupressure on a daily basis, you will yield the best results. Practicing the given techniques for half an hour everyday can bring a change in your body. The following pressure points are the main ones for weight loss, which are essential for the body. 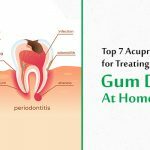 You need to start by massaging these areas first and then apply pressure on these areas for the mentioned time. End it with another light massage on the same area. If you can find a particular point on one side of your body, you need to find the same pressure point and massage it on the other side. This will increase the possibilities to lose weight. This weight loss program is focused on self massages that will help the digestive system function properly by decreasing food cravings, obtaining a balanced appetite and increases body awareness. This pressure point is found exactly 3 centimeters below the belly button (Ren 6 in the below diagram). This point enhances the function of the digestive system and gives your body strength. It also reduces constipation. This point is very effective to lose weight. Place two of your fingers on it and massage by moving your fingers up and down. Then press this point for at least 2 minutes twice a day. Right in line with the ear lobe near the end of the ribcage you will find the abdominal sorrow point. Usually located under the last rib, this pressure point relieves you from any kind of indigestion, ulcers, rib pain and appetite imbalances. Curve your fingers and press this point for 5 minutes everyday. 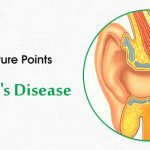 The pressure point located in your ear helps to control appetite. You need to place your finger against the jaw and move your jaw up and down. Find the point that has most of the movement in your jaw and press it for a minute. 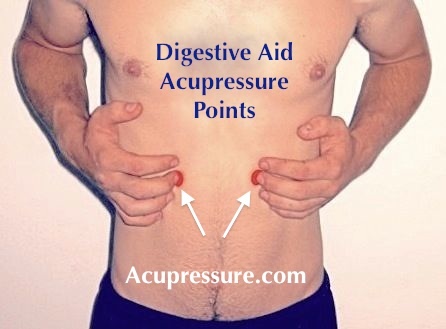 This pressure point helps the stomach to function properly, by improving the digestion and nourishing the blood. It is found 2 inches below the knee cap on the outer side of the leg. Apply pressure on this point for one minute with your forefinger. When you flex your foot up and down you can feel the muscle move under your finger. This is the right spot; press this point for 2 minutes every day to notice the change in your body. The large intestine point is found on the inner side of the elbow crease. It is located to the end. This point stimulates the function of the intestine by removing excess heat and unwanted moisture from the body. Press this point for a minute everyday to see the results. Use your thumb to apply enough pressure on this point. This pressure point works well for the spleen. It helps to strengthen your digestive system. 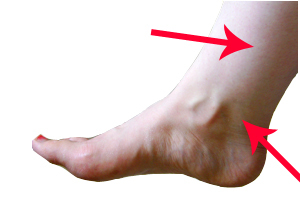 The pressure point is found on the inner side of the leg 2 inches above your ankle, it is just off the bone. Press this regularly for the better functioning of the digestive system. Apply pressure for a minute with your thumb or knuckle and release slowly. By using the above techniques, one can release the flow of energy through all the organs. 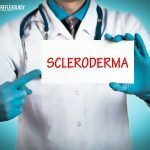 Especially affecting the functions of spleen meridians and the stomach. The energy that flows helps in balancing the digestive system, compulsive urges to eat and appetite. The simple points you access in your body can play a vital role in your weight loss planning. Acupressure is great for healing and repairing the body cells that help in restoring the body functions. It increases your awareness of the body and helps you tackle every disturbance with ease. By learning the various techniques one can treat oneself with wisdom. Acupressure is gaining fame in the recent days as many people are able to access their physical and mental problems with it. Curing many diseases and reducing stress, acupressure has become the most accessible treatment in the world. Try to use these techniques and lose weight naturally. 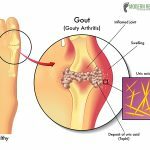 We will try to come up with an article that concentrates on acupressure points for fertility. Thank you Bipasha for sharing, the articles are awesome, I like the way you write! Any accupressure points in palm to reduce thighs and hip fat ? I am thrilled to read your article on weight loss. i am going to start today with my WT.Being 146 Lbs, with a height of 5feet one inch. the moment I get some results I will let you know. My age is 77 and I have tried all kinds of things for WT.loss but nothing helped. I hope accupressure does help me. Hi, I am female, have thyroid problem – so heavy weight, irregular menstrual , water sist in uterus ( which i operated recently). Trying for pregnancy – but no result. Start having Azafran 30mg/3times day/five days , later reduse to 30mg one per day : day Yes , day no .Every night put some blackseeds oil in you bely for five days .remember use the true azafran and blackseed oil. I gave up wheat and my thyroid went back to normal! I assume I had autoimmune thyroid that was caused by producing antibodies to wheat. and having skin problem.age 18. kindly advise how to recover her. We will try to come up with an article that deals with this problem. Those symptoms could be diabetes. See a doctor. These are symptoms of diabetes, please get in touch with your physician at once. Please send related health tips to us in future. Decrease the side effects of fertility drugs. realyy a good service you have rendered to society. Acupuncture Point to reduce belly has not mentioned clearly. Is there any evidence………………… that proof mild pressure on acupoint can reduce weight? hi Bipasha ji. I need your help, its formy little nephew who is 7 years old and cant walk and cant sit properly, but when tickling his foot hedoes feel the response. pls help! God bless u! 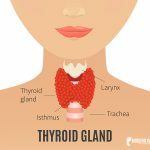 https://www.modernreflexology.com/acupressure-points-for-thyroid-treatment/ This article will help you. My weight is 104kgs since long. I am also suffering from PCOD. Please advice as I have to reduce almost 50% of my weight as fast as possible. Some acupressure points related to the uterus and ovaries are: crease of the arm, below the navel, inner anklebone, back of the shinbone, bottom of the kneecap. I have Vertigo 24/7. It started 7 months ago when I got Shingles in my left ear. I suffered from Bells Palsey and Tinnitus at the same time. 7 months later I still have the Vertigo and Tinnitus all day everyday. Can you advise what pressure points I can use to help with my problems.